Most people contemplating divorce don’t consider the sad reality that one of the parties may die while going through the process. When this does happen it results in chaos for the survivors. I’ve witnessed this several times during my practice, but one of the most poignant was early in my law career. I represented a young man with three children who rode a motorcycle to work every night. Rob worked the night shift as a machine technician at a local trade school. He was responsible for the necessary cleaning and repair of the machines that were used each day by the teachers and students. During the day, Rob happily packed lunches, took the children to school, and attended school functions. He was married to a woman who wasn’t very interested in marriage or family. She was home at night while the kids were asleep, but spent that time entertaining various married boyfriends. During the day, she also had a very active social life. When the decision to divorce was made, she agreed that most of the property should be put in trust for the children, and that Rob would have physical custody. She also agreed to accommodate Rob’s work schedule by continuing to care for the children at night while they slept. But before we could finalize the divorce, Rob lost his life in a motorcycle accident on his way to work one night when he was cut off by a drunk driver and hit a tree. Rob was a great father but he failed to prepare an estate plan. Despite my advice that he prepare an interim estate plan during the divorce process, he chose to wait – he believed that he had plenty of time. He had not taken his wife’s name off of his life insurance. She was the sole beneficiary. He had not taken her off his retirement and pension plan. She was still the joint tenant on the real estate, the vehicles, the bank accounts, free to use and spend everything any way she pleased. Most of us act like we’re going to live forever, or like we can predict our death. We deny the truth. 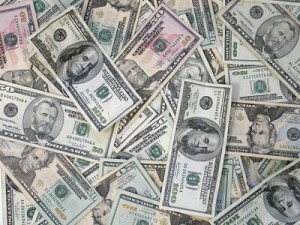 Statistics show that only half the lawyers who are married and have children also have an estate plan! That’s among a population that should be most informed and knowledgeable about the need. I do not know the statistics for the general public, but I know that most people have not made even the most basic arrangements for the allocation of their estate. Don’t make the kind of mistake Rob made. His wife, not his children, inherited everything. Nothing was set aside to provide for the children and she probably squandered it all as she continued the self-indulgent lifestyle that ended her marriage. Act now to ensure that your assets are protected and go to the right people. We are here to assist and support you. We can help you set up a plan, or make any changes that need to be made to an existing plan. Please let us know how we can help. In a recent article by author, educator and divorce consultant Deborah Moskovitch, we are reminded that real life typically doesn’t follow the same happy-go-lucky storylines we see on television. 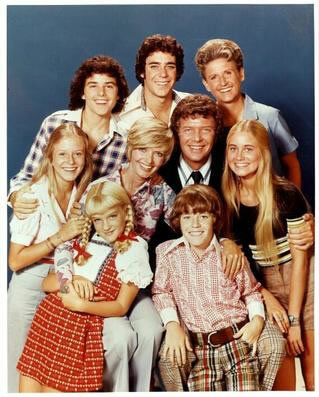 Where Mike and Carol Brady were able to enter second marriages and turn their separate families into one big happy bunch, real life is hardly that simple. Help kids adapt to the new family configuration. Children will belong to two households/families; but they need guidance to adjust to different sets of rules, expectations, and systems. Bonding takes time. Don’t expect children to love and adore each other or your new partner right away. In some cases, the best thing is to work towards courtesy and respect. Building caring relationships between children and their new step-parent/family is a process that requires time and patience. Be open to discussion. Creating opportunities for family discussions, problem-solving and negotiation helps children manage. Prepare the family for change. Establishing new family patterns, rituals and traditions helps children feel a sense of belonging and shared memories. Understand the new relationship. Clarifying roles, responsibilities and expectations in the blended family serves as a “road map” with strategies for building relationships and a solid framework for the family unit. Develop a conflict resolution strategy. Conflict is a part of all families. Combined families have more complex and diverse needs and emotions in dealing with conflict; a solid conflict resolution model helps to address these issues. Demonstrate your love. Children need reassurance that they are loved and are still a priority to their biological parent, as loyalty issues can arise in blended families. Discipline your own, and step back for his. The general rule of thumb about discipline is that the biological parent is the one who guides the discipline for their own children when there are step-children living together. But within one household the rules need to be consistently applied for all children who live there — there should never be two sets of rules. The bottom line is that what ever you call it—a step family, blended family, combined family—it’s a newly reconfigured family unit. It takes time to bring this new family together, and it takes effort—just remember to resolve conflict, demonstrate love and find the fun. For more information about Deborah Moskovitch, visit her website at www.thesmartdivorce.com. The Law Collaborative, bringing peace to the legal process. This page took 0.428 seconds of computer labor to produce.